Braxton Berrios is an American professional football player who plays in the National Football League (NFL). As of 2018, Braxton Berrios currently plays for the New England Patriots as their wide receiver. As a wide receiver, Braxton Berrios reportedly earns around $495,000 as his yearly salary from the New England Patriots. Further, Braxton Berrios has an estimated net worth of over $1 million. As of 2019, Braxton Berrios has an estimated net worth of over $1 million. Moreover, the NFL player has an average salary of $495,000 annually with a cap hit of $524,602 including a dead cap of $88,806. Since he is at the beginning of his career, so there is no doubt that he will be earning a quite good amount of money in his future. So far, Braxton Berrios has earned $1.5 million throughout his NFL career. His personal assets include home and cars, aside from Braxton Berrios ' financial earnings. In addition, NFL Player Braxton Berrios earns a lot of money from different sponsorships with Adidas as the major deal. There is no information regarding the probable wife or girlfriend of Braxton Berrio, disclosed on media. Braxton has kept his personal life low-profile so there are no posts regarding his affair/relationship. Since he is at the beginning of his NFL career, he is away from rumors and controversies. In 2013, Berrios was seen in a photo with a girl who was rumored to be his girlfriend. However, he never made any confirmation about the relationship. "S/O to my Girlfriend on #nationalgfday You're probably in a relationship with somebody else rn but we gonna handle that later. See ya soon"
Besides Braxton Berrios, another popular NFL player Blaine Gabbert also celebrates his birthday in October. In addition to being a famous NFL wide receiver, Braxton Berrios is well known in social media. The famous NFL star has a height of 5 feet 9 inches and weighs 83 kg. Braxton Berrios is not only an athlete of world-class but also a very attractive person. Braxton Berrios was born on 6 October 1995 to parents Rico Berrios and Lee Berrios in Raleigh, North Carolina. He is American according to his nationality and belongs to the White ethnic group and has the star sign Libra. 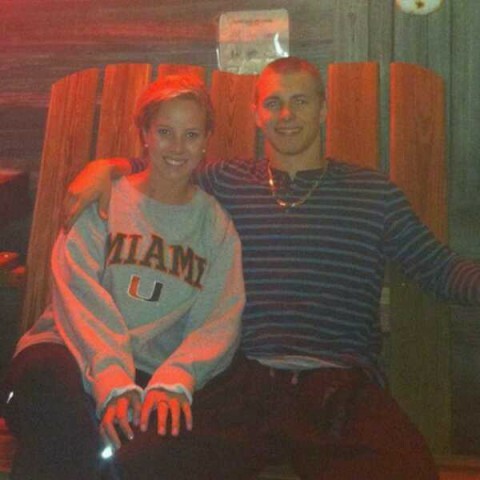 Braxton Berrios attended Leesville Road in Raleigh, North Carolina where he played for his high school football team and after that, he played for the University of Miami. Braxton played as a real freshman and completed the season with 21 catches for 232 yards and 3 touchdowns. He caught two touchdowns against Florida State in 2017 to help beat the Seminoles for the first time since 2009. In the sixth round( 210th overall) of the 2018 NFL draft, Berrios was drafted by the New England Patriots. Berrios was placed in the injured reserve on 1 September 2018. Without Berrios, the Patriots reached Super Bowl LIII, where Los Angeles Rams were beaten with a score of 13-3. Braxton is coached by Bill Belichick the head coach of Patriots.